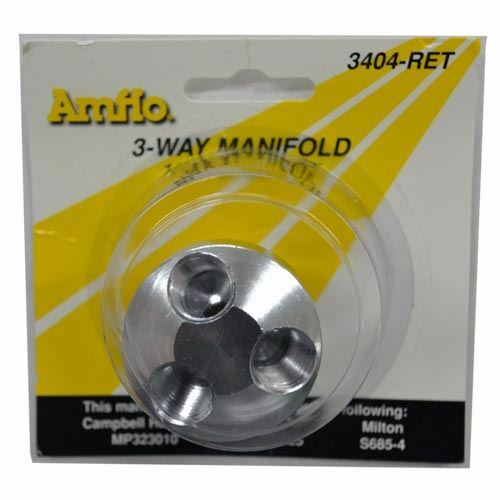 The 3404-RET manifold has 4 different 1/4" femal ports. One of these ports will connect to the air compressor air outlet. This creates the ability for the compressor to have 3 air ports instead of one.